March Madness is the best time of year, but I get sick of filling out brackets. 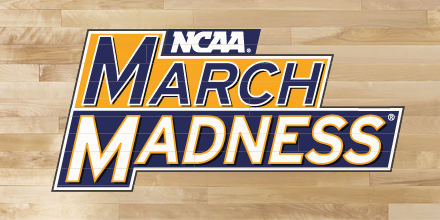 For something different, join my 3rd annual NCAA Tourney Pick’em pool. Here’s how it works: create a lineup of players from each of the 16 seeds. Points that each of your 16 players score throughout the tournament will be tallied up. The lineup with the most total points scored throughout the tournament wins. Your lineup should consist of not only players that you think will put up big points, but also ones that are on teams that you expect to make a deep tournament run. Your picks must consist of one player from each of the 16 seeds. For example, you’ll pick one player from the #1 seeds, one player from the #2 seeds, and so on. Your 16 players must consist of 9 guards and 7 forwards/centers. If the play-in games will impact your picks, then don’t submit your lineup until after those games play out. I’ll run it all through e-mail and will send out scoring updates after each round. Each lineup is $5 to enter. You can enter as many lineups as you wish. If you’re interested, tweet me your e-mail address: @burnSTYLEr. I’ll create an e-mail list and will follow up in the next day or two with a spreadsheet to enter your picks on as well as how to submit payment (PayPal/Chase QuickPay). Feel free to forward this on to anyone you know. The bigger the pool, the better. If you aren’t familiar with the stand-up comedy work of Sebastian Maniscalco, I suggest you change that. In my opinion, he’s one of the funniest people on the planet. 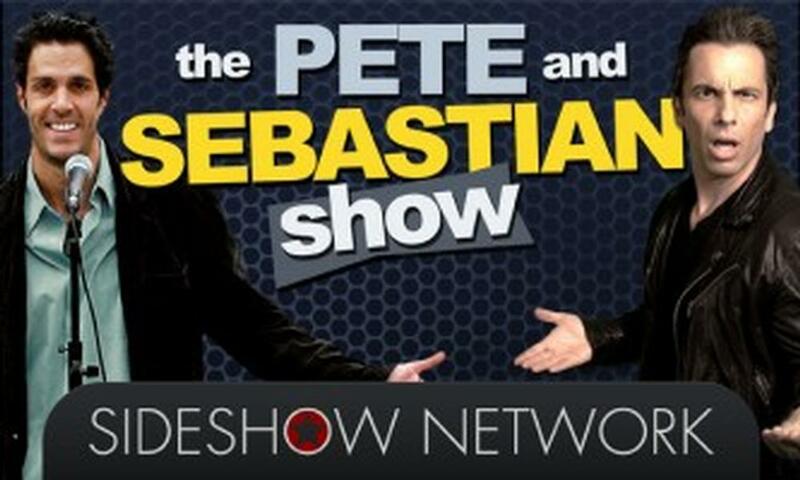 Sebastian and another great comedian, Pete Correale, put out a weekly podcast titled ‘The Pete and Sebastian Show’. It’s always one of the highlights of my week. They both have a unique ability to turn even the most mundane topics into a solid hour of entertainment. Definitely check it out in iTunes. This week was their 20th episode, and in my opinion, the best one yet. They talked about life on the road and offered some hilarious stories about things/people they’ve encountered in airports and in the air. A highlight for me starts at the 5:10-mark of the podcast, where Sebastian talks in detail about witnessing a guy in the seat in front of him completely lose his lunch during a flight. While there were many great moments throughout this episode, one gem in particular came at the 1:01:01-mark. Sebastian was talking about how it never fails: when you go to take your seat on the plane, the person seated next to you is always an “utter catastrophe”. Whether that means your flight neighbor is morbidly obese, smells like they haven’t bathed in a week, whatever the case may be: you’re stuck next to them and there’s nothing you can do about it. The idea that Sebastian proposed next transcended comedy and went straight into sheer brilliance. The essence of Sebastian’s idea was that there should be some sort of social network for frequent travelers. Every traveler would have their own personal passenger profile, complete with a photo, general background information, etc. There would be a ratings system within this network where your fellow travelers could grade you based on how good or bad of a co-traveler you were on a given flight (think eBay’s feedback system). If you were pleasant to sit next to, held good conversation (or avoided small talk altogether if the situation warranted it), 4.5 out of 5 stars coming your way. If you had horrendous breath, talked nonstop, threw up while in flight, etc., prepare to be hammered with 1.5 out of 5 stars. Sebastian took his idea a step further in suggesting that this social network be built into the online ticket-buying process. [UPDATE: It has come to my attention that it was PETE who came up with the ticket pricing idea. My fault for mistakenly crediting Sebastian. Well done, Pete!] 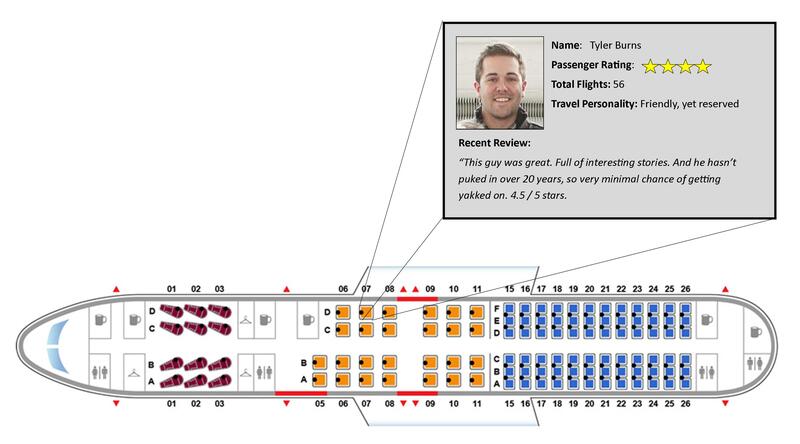 When you go to select your seat on the online plane seating chart, you could hover over seats that have already been purchased and check out who you’d be sitting next to. Open seats next to travelers with high approval ratings would be more expensive than seats next to those with low ratings. Want a seat next to the attractive woman who holds pleasant conversation? That’ll cost you. Want to take one for the team and sit next to the guy with the prostate issue who has to leave his seat a dozen times? You’ll save a few bucks. While security/safety issues would certainly keep something like this from ever happening, it was one of those ideas where a light bulb went off in my head the moment I heard it. So kudos to you, Sebastian Maniscalco. Keep the laughs (and moments of pure genius) coming. I love sports. I love to laugh. If you can combine these elements on Twitter, you’re a winner in my book. I try to work sports and humor into my tweets, and enjoy following others who do the same. However, not everyone has a knack for it. If you’d like to see a sports + humor train wreck happening on a daily basis, look no further than @espn. It’s hard to deny the stats: with 6.1 million followers and a whopping 99 Klout score, @espn is doing something right. But humor ain’t it. When any other account irritates me to the level that @espn has, I unfollow. But I generally enjoy all of their other tweets. Their in-game alerts, stats, and programming notes are all good. However, their tweeted attempts at humor contain so much cheese that it makes me physically ill to read them. I went through their tweets from the past few weeks and have embedded the worst of the worst. Your favorite sports team is like your family. If someone insults it, it’s game on. Waking up can be hard. Turning on @sportscenter…that’s easy. Chanting at your television during a live soccer match is a great way to warm up your vocal cords in the morning. No, incessantly checking your phone for score updates during dinner is not rude. If your ring tone is a sports theme song, you deserve a ringing endorsement. Daydreaming about shooting jumpers, hitting a pitching wedge, catching a touchdown, etc.… We know the feeling. Planning your entire week around your team’s schedule is the definition of dedication. Reading up on your favorite teams and athletes is procrastination in its most productive form. If bears can hibernate in the winter, you can stay inside and watch sports all season. It’s only fair. Re-watching highlight reels from high school is a great way to remind yourself of your athletic glory days. If you use a TV, phone, laptop, and tablet simultaneously to keep up with sports, you have a problem…of being way too awesome. Remember, these are just from the past few weeks. I could keep going, but you get the idea. So, who’s to blame for these embarrassing tweets? Well, much like the Tebow love affair at ESPN, it’s a two-way street. Tebow gets ratings, so they feed us more Tebow. Their approach to Twitter is no different. Look at the action on some of these tweets. If you compare the RT/Favorite counts to some of their general sports tweets, these cheesy jokes are somehow well above average. So, while I don’t think @espn will be changing their Twitter habits any time soon, there are a few things we as followers can do to slow these horrendously terrible tweets. Stop RTing and Favoriting them. I’ll leave @espn with everyone’s favorite condescending jab: Stick to sports.